I just thought I would give you guys two quick reviews of films I was able to see this week. Ironically both films star Blake Lively in all her gorgeousness but aside from that they couldn’t be more different. Today we are looking at The Shallows and Cafe Society. Neither will make my best of the year list but they are both solid entertaining films. Those of us who love Jaws were excited to see what a modern film could do with a killer shark story. 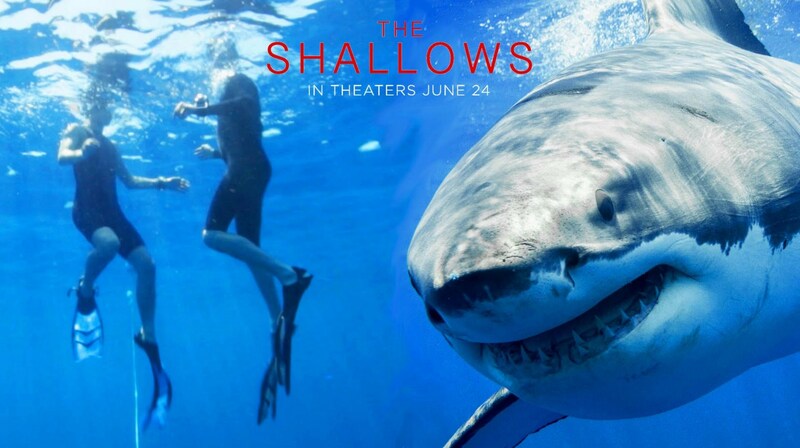 In the case of The Shallows we have Jaume Collet-Serra in place of Steven Spielberg and he delivers an entertaining film that isn’t near approaching Jaws but is better than the Jaws sequels so that’s something. The Shallows stars Blake Lively who looks stunning in her bikini on the beach. She has arrived at a secluded beach in Mexico to swim at her Mother’s favorite spot. It takes a while to get her to the core shark part of the story but since I love the ocean and surfing I didn’t mind that. However, it was painfully obvious they pasted Lively’s face on another surfer’s body in the surfing scenes. This brings up my major problem with the movie- the visual effects were uniformly poor. I mean look at the shark above. Don’t you think it looks like styrofoam? When Lively was on the rock and we didn’t know where the shark was then it was tense and exciting (and that’s a lot of the movie) but as soon as they showed the shark it took me out of the film. Collet-Serra should have learned from Spielberg if the shark doesn’t look good don’t show the shark. It also gets extremely silly towards the end of the movie with Lively lighting the ocean on fire at one point and her spearing the shark with a buoy like a superhero. Nevertheless, Lively is really good, the ocean looks gorgeous and the survival scenes when she is caring for her leg and trying to figure out what to do were gripping. There’s enough there to give a mild recommendation. For me 10 Cloverfield Lane is the better small horror movie of the year but if that is too gory for you The Shallows could be just the thing. I have to say I had an absolutely terrible theater experience seeing Cafe Society. A group of older women were in front of me being loud and one woman literally looked at her phone the entire time. So, perhaps it says something that I liked it as much as I did. 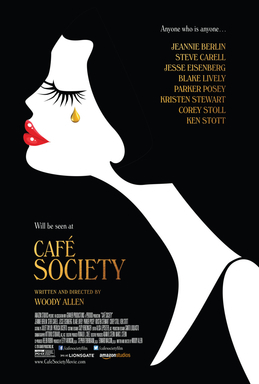 Cafe Society is the latest film from Woody Allen and it’s not one of his best but it is an enjoyable little movie. It’s pretty simple story about Bobby played by Jesse Eisenberg who goes to LA to work for his big time Hollywood agent uncle Phil played by Steve Carell. He meets Vonnie played by Kristen Stewart who is lovely and luminous in the role. People need to let the Twilight movies go and give Stewart a chance to act. She’s proven herself in movies like Still Alice, Into the Wild, and this that she can be a good actress with the right material. In this movie she has to compete with Blake Lively and yet you still understand why Bobby is in love with her. Speaking of Blake Lively, man is she beautiful in this movie. It reminded me of Age of Adaline in how well she wears clothes and graces the screen. She is definitely Woody Allen’s shiksa goddess in this film. I also loved Corey Stoll here. He plays Bobby’s mobster brother and I think I just have a crush on the guy. I like him in everything I’ve seen him in. As you can probably tell from the photos Cafe Society looks great. The costumes and production design are impeccable and it is a pleasant enjoyable story of old town Hollywood. That said, certain scenes fall flat like when Bobby hires a Jewish call girl. It’s supposed to be funny but it doesn’t work at all. Also, the whole film feels inconsequential. There is nothing memorable about it. It feels extremely derivative of 30 other better Woody Allen films. Allen also does the narration in the film which is distracting and helps remind the viewer of all the other films he’s done that are better. Still, not a bad watch and I’m glad I saw it even with the stupid moviegoers who were with me. 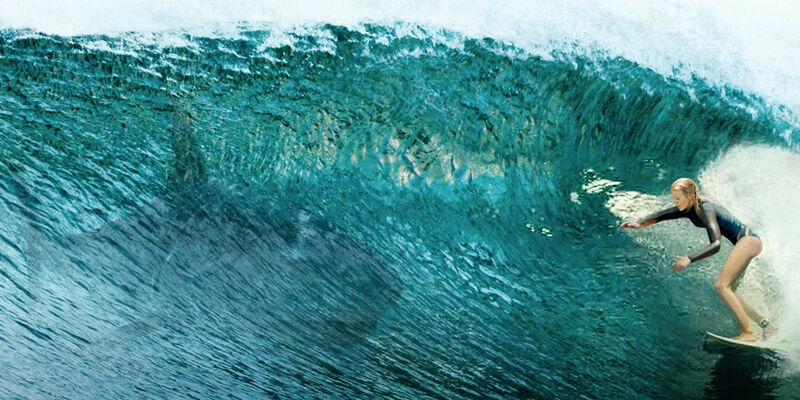 Do you have a favorite animal horror movie like The Shallows? What about your favorite Woody Allen movie? I’d say Jaws is my favorite animal horror movie and Midnight in Paris is my favorite Woody Allen movie with Annie Hall and Blue Jasmine close behind. Both films have mild interest to me, so I might check them out on a bored day. I was so surprised at how much I enjoyed The Shallows. Unfortunately Cafe Society STILL hasn’t opened up here. I’m a fan of blake Lively, so I was initially intrigued by this movie. However, I’m not a fan of paying upwards of $15 just to cringe the entire time. I did that for the Revenant and was greatly disappointed. I will check i out if it comes to Netflix though! I’m so sorry with your poor experience at Cafe Society. I wish people understood common respect, but sometimes people just are completely unaware. I had my eyes set on seeing Cafe Society, but I’m not sure I’m going to make it out to see it. So many of my favorite actors though! After watching Cafe Society I have to say that Woody Allen is back. After a few flops (Irrational Man, Magic in the Moonlight or To Rome With Love, just to mention a few examples), Woody Allen comes back in full form with a charming romantic drama/comedy, as he has accustomed us to. I think the success of the movie rests in that Woody Allen returned to do something more like Midnight in Paris than in the above mentioned flops. 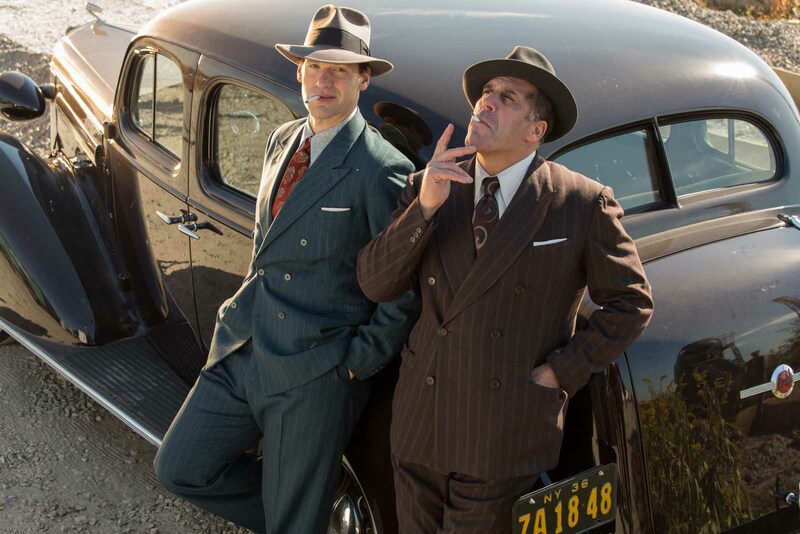 The movie is set between the West (Los Angeles) and East (New York) coast in the 1930s. So, what in Midnight in Paris was the European cultural elite of the 20s, in Cafe Society has been replaced by Hollywood in the 30s. The movie in essence has the typical features of a Woody Allen movie: a neurotic lead who is an alter ego of the real Woody Allen, complicated love relationships, existential debates, jazz music and even some cultural snobbism. In this movie, all this elements fit very nicely to create a pleasant film that is very nice to watch. I haven’t seen those other films but I did like his work in Blue Jasmine but as far as comedies I think he is back and this is a very enjoyable film. I am excited to see it again when I’m not with such an obnoxious audience. The fact I enjoyed it as much as I did says something given the circumstances I watched it in. I will totally check out your blog. Thanks for commenting!